Magnum Investigations LLC is the fastest growing Private Investigative Agency throughout New Jersey and Pennsylvania. 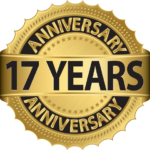 We are licensed in NJ and PA; our headquarters is in Monroe Township, New Jersey and our satellite office is in Pennsylvania. Our services are Provided to the Private Sector and Law Firms. We specialize in Cheating Spouse Investigations, Alimony Investigations, and Child Custody Investigations. Most of our investigators are former law-enforcement officers and Licensed, Bonded, and Insured in the State of New Jersey as well as the state of Pennsylvania. There is no job that is too big or too small; we are your Information Solution 24-hours a day. Experienced Leadership: Magnum Investigations, LLC is owned and operated by Christopher Halscheid, who is a retired New Jersey Police Officer. Mr. Halscheid is also a former New Jersey State Police NCIC/CJIS Terminal Agency Coordinator. He holds many certifications and has successfully attended many investigative schools including: F.B.I. Investigator’s School, Camden County Prosecutor’s Office-Investigative Photography School, Camden County Prosecutor’s Office- Courtroom Testimony School, Camden County Prosecutor’s Office-Advanced Narcotic Investigation School, Burlington County Prosecutor’s Office-Advanced Narcotic Investigation School, and many others. Over the course of Mr. Halscheid’s career, he has conducted hundreds of video-surveillance operations. He has also interviewed and interrogated many individuals with success in obtaining pertinent and incriminating statements that were vital to the integrity and success of the case. Mr. Halscheid graduated with honors from Rowan University with a B.S. in Business Administration and a specialization in Management Information Systems. Mr. Halscheid also holds a degree in Law & Justice. He is currently pursuing his Masters in Business Administration. Chris also has an extensive background in computers. Please feel free to call and speak to Mr. Halscheid personally. :: Associations: Magnum Investigations is a member of the South Jersey Chamber of Commerce. This organization affords Magnum Investigations with the opportunity to network with various professionals and learn more about the customized needs of each profession thus allowing us to tailor our services around those needs. Other associations that Magnum’s Investigators are members of are as follows: Tri-State Criminal Investigators Association, Association of Information Technology Professionals, New Jersey Fraternal Order of Police, New Jersey Retired Policeman & Fireman’s Association, and some others. 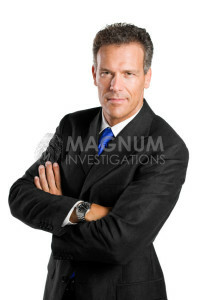 Magnum Investigations strives to establish a reputation of providing the utmost professional services that are accurate, reliable, and confidential. You will be especially impressed at how quickly a Magnum Investigations representative responds to your email and/or telephone call. Your consultation is FREE (1/2-Hour) and confidential with no obligation.